Cleveland’s own THE O SOUND ALL STARS, consisting of members Baba Adetobi, Mike Harris, Romeo Maxwell, Blacknile, Humble G, and Regi Beverly, have released their 9 track album, entitled “NU WOP DOO WOP, VOL. 1”. All songs were written by Baba Adetobi except “She Don’t Even Know”, written by Blacknile. These guys would get together and sing doo wop songs, all of them musicians in various bands and choirs. Baba was resident percussionist at the studio for many years and was writing lyrics. Doug, the studio owner got everyone together and in one summer they arranged and recorded all of the lyrics into Nu Wop Doo Wop. This is the sound of an era, of a generation. This album has so many wonderful songs on it; it’s an excellent look at one of the finest harmony groups around. Their voices blended so beautifully – the sound they created was unique, powerful and moving. I don’t think there is another band, then or now, who created such a smooth blending, of such perfect harmony. If you remember your parents playing the old 78’s or maybe some 45’s in the late 50’s or early 60’s, you might have heard something along the lines of this. If not and you’re from the 60’s or even later then you missed out on a time when music was special and the latest hits were played on juke boxes and cost a nickel to listen to. You would go after school to the drug store and play all your favorites for a quarter get a cherry cola and dance till the store keeper said he was closing. If you miss that you’ll find some of that magic on these cuts. Assessing the lyrical elements of “NU WOP DOO WOP, VOL. 1” — and other soul records like it – wouldn’t be of much use and misses the point. The beauty of soul music has more to do with delivery and passion than the quality of lyrics, even though the lyrics here are par for the course. This album is a stunning showcase of talent and raw emotion. Records like this make giving the music of the 70s a closer look more worthwhile. But the stunning thing is this album only came out last year, and to my mind would have been a monumental success had it been released during the 70’s. It’s easy to hear how the songs on this album enhance the soul-music format and consequently is ready to revive the genre altogether, providing a welcomed contrast to the often wretchedly bad modern R&B and Soul music currently doing the rounds. 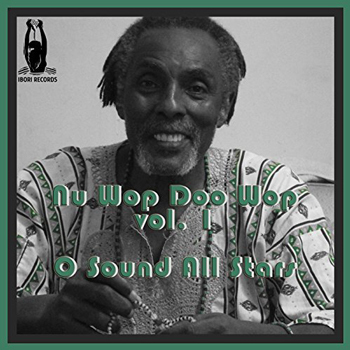 “NU WOP DOO WOP, VOL. 1” is a musical mash-up of jazz, funk, blues and soul influences featuring phenomenally complex vocal arrangements and brilliant, sleek music productions, with THE O SOUND ALL STARS members Baba Adetobi, Mike Harris, Romeo Maxwell, Blacknile, Humble G, and Regi Beverly, packing just as much punch, perhaps more, than many soul records that had come before it. It’s hard to pick out standouts, as all tracks here bring something special to the table. Though my own personal tastes would opt for: “Academy”, “I Love You”, “I’ll Make You Happy”, “Where Are You” and “She Don’t Even Know”. 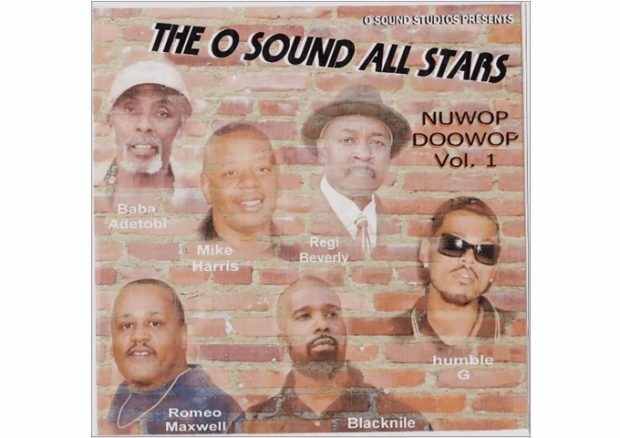 “NU WOP DOO WOP, VOL. 1” delivers – in a perfectly popular music format – prominent and reoccurring themes of love, peace, and harmony. All sung in luscious doses of rich harmony, such as hasn’t been heard in 50 years!